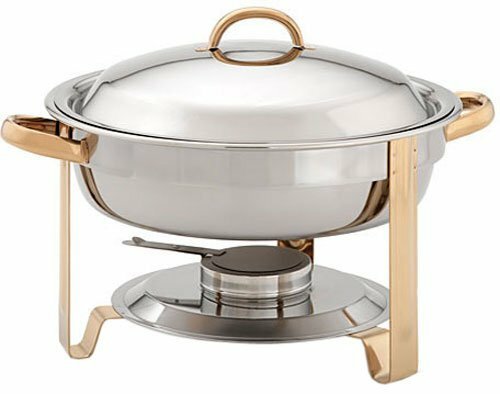 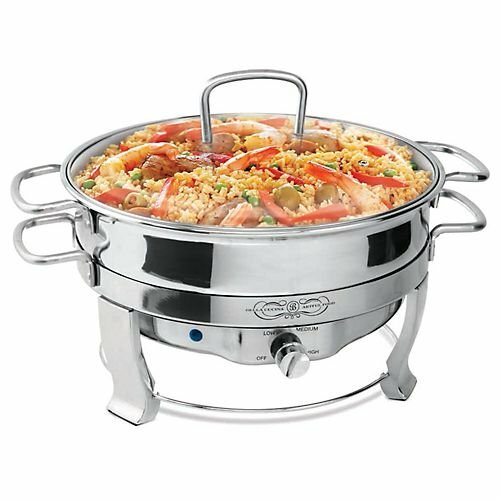 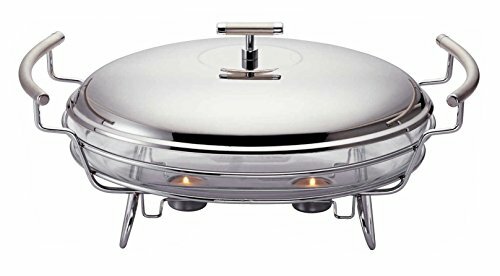 Update International (DC-4/GB) 4 qt Stainless Steel Round Gold-Accented Chafer ~ Chafing Dishes ~ Rika Jones - buy kitchen cookware with confidence! 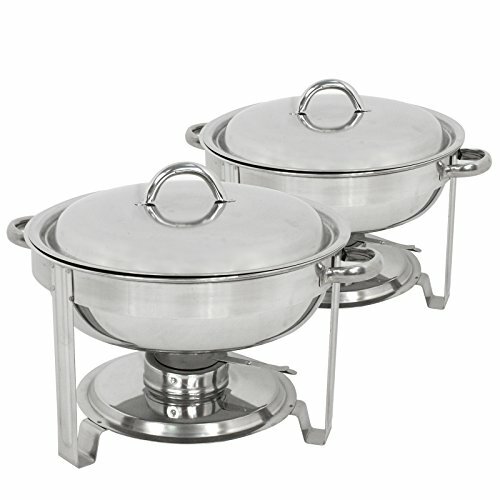 This gold-accented chafer is made of mirror-polished 18/8 stainless steel accentuated with gleaming 24-karat gold material. 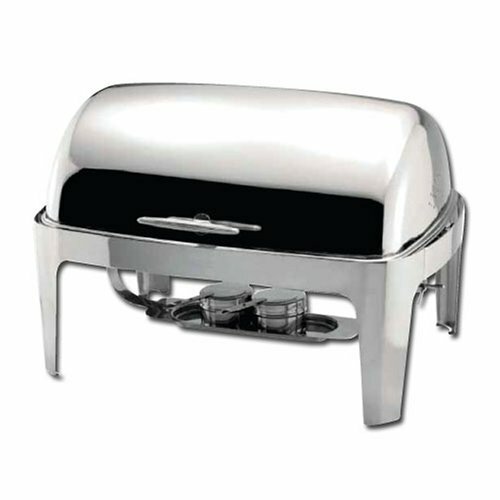 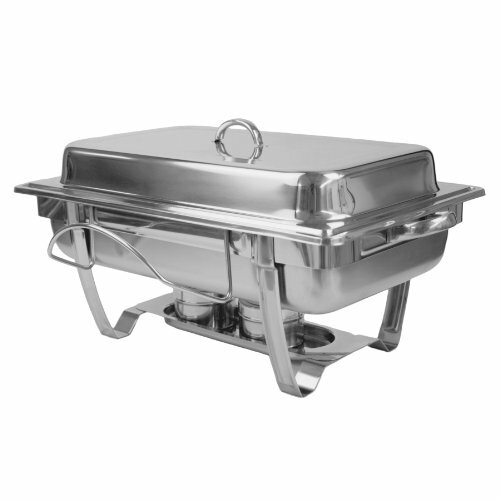 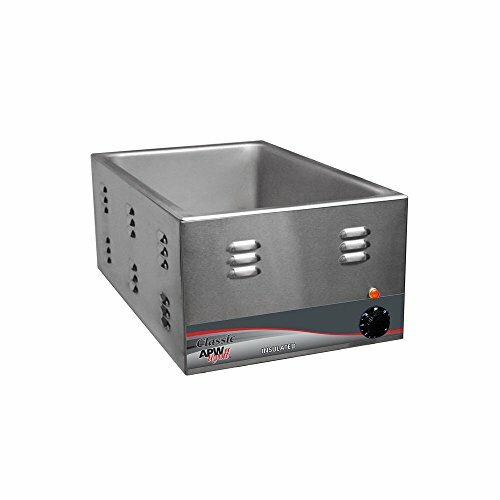 It is heated by canned fuel, making it easy to station the chafer anywhere without having to worry about finding a nearby electrical outlet. 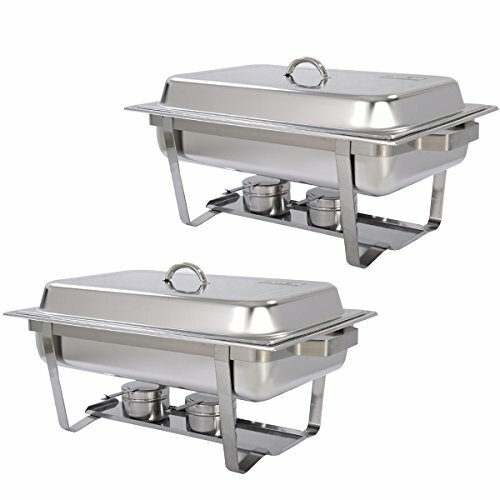 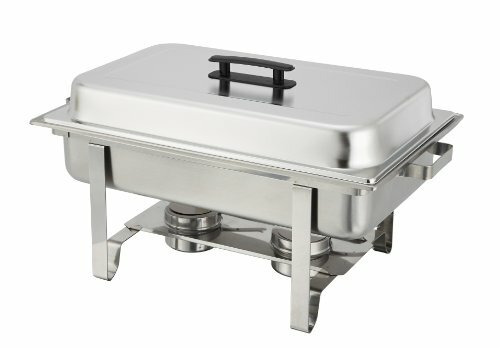 This makes it unbelievably useful for outdoor events like summer weddings and graduation parties. 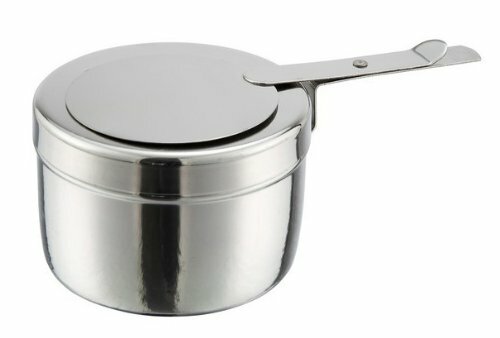 Available in round shape. 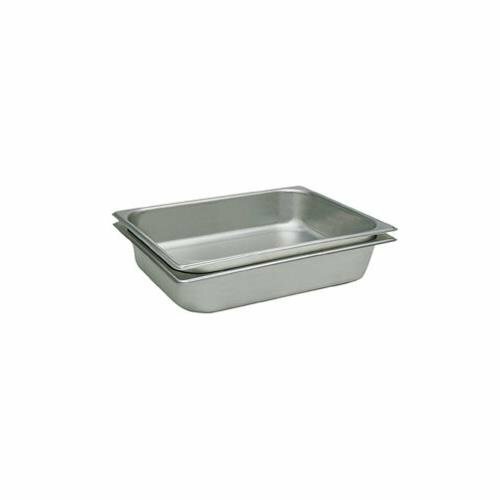 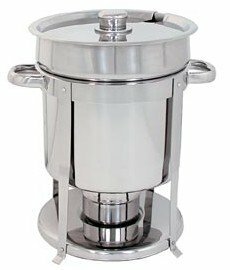 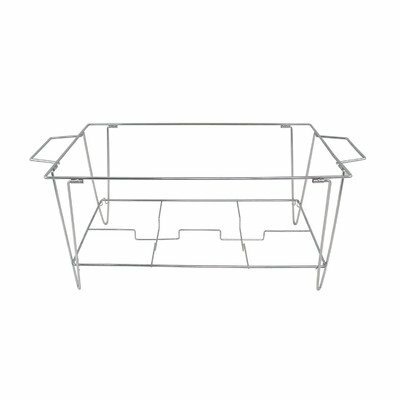 Measures 16-15/16-inch length by 14-3/16-inch width by 11-7/16-inch height.